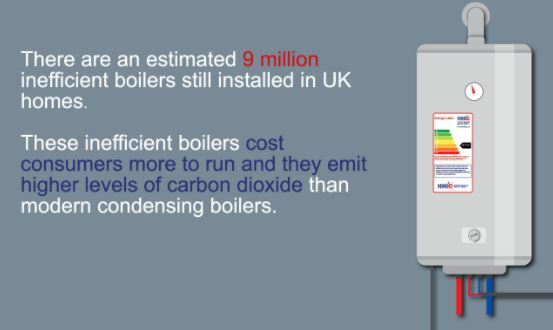 What are the issues with boiler plus compliance? With mandatory minimum boiler efficiency looming large on the horizon, the industry is preparing for the biggest change to boiler standards in years. 6th of April is a date all gas engineers need to be aware of and most of our readers will be well aware of what it entails. It is important to understand that the changes are all part of Building Regulations and therefore a legal requirement. 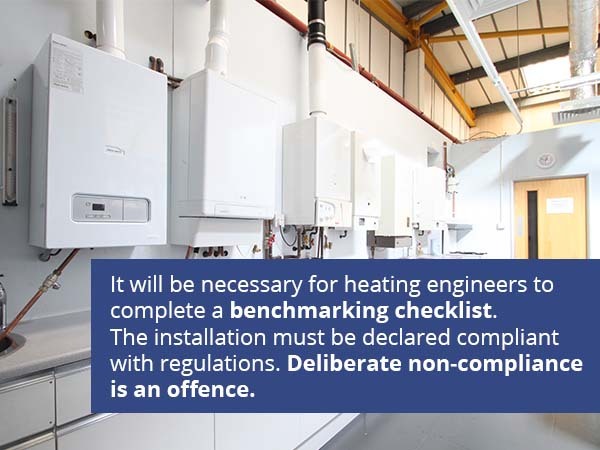 It will be necessary for heating engineers to complete a benchmarking checklist. The installation must be declared compliant with regulations. Deliberate non-compliance is an offence. The main cause for concern is actually policing the new boiler standards. Major manufacturers and heating groups have been preparing for some of the key practices mandated in the new standards for a number of years. However, it is ensuring businesses and consumers have the right knowledge of the new standards that is proving to be the biggest challenge. HHIC believes boiler plus is achievable for the majority of heating engineers who are already installing systems that include specified technology. They say that many installers were already used to fitting some of the key control mechanisms required under the regulation as standard. Consumer education is identified as a more pressing focus for the industry to address. Although Boiler Plus is focused on new or replacement boiler devices, HHIC believes that the regulations will lead to an increased focus and awareness of energy efficiency in heating systems. The Chartered Institute of Plumbing & Heating Engineering (CIPHE) says that the introduction of the new regulation is sorely needed. Voluntary measures focused on energy efficiency rarely lead to sufficient change. CIPHE shares wider industry views about the crucial need for greater enforcement of systems that fail to comply with Boiler Plus regulations. Our Energy Efficiency course is being updated in-line with Boiler Plus Regulations. The training will aim to provide Gas engineers with sufficient knowledge to meet energy efficiency standards and advise customers on the extra measures they may also need. If you’re not completely up to speed on things, you can read some of our other articles on boiler plus. Are you ready for boiler plus?